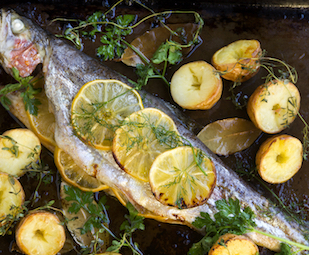 This baked whole fish recipe uses trout, but it would suit any medium sized whole fish, bream, carp, any catch of the day. It's really simple to prepare and cook and uses minimal ingredients. If they're bigger than 1lb (500g) each, then give them a little longer in the oven. They're ready when they're firm to the touch. Serve with potatoes and salad or vegetables. 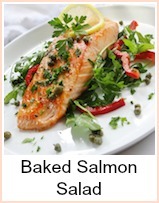 This a really simple way of cooking baked fish - so easy and straightforward. You could cook it for a family tea or a dinner party and nobody would complain. You could add a small glass of white wine as well if you like - just tip it in along with the lemon juice. Oil an ovenproof dish and lay the fish in. Sprinkle the parsley into the cavity of the fish and season with pepper and lemon juice, then dot with butter. Bake in the oven for about 20-25 minutes until the fish is cooked through. It will be firm to the touch. 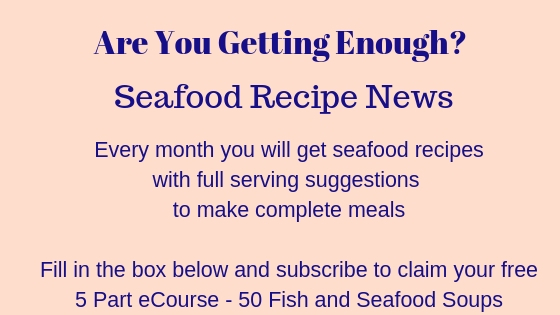 Lift the fish carefully out of the dish with two spatulas, spoon the juices over and serve with some boiled new potatoes and buttered vegetables or a crispy salad. 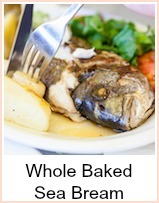 For any baked whole fish recipe, it's crucial to have the oven pre-heated and up to temperature. Fish doesn't take long to cook, but it does need to go in at the right temperature. If your oven runs a bit low in temperature (which mine does) then put it on higher to pre-heat and when you put the fish in, put it down to 180C, that way, opening the oven door will let a bit of heat out and then it will start at around the right temperature. 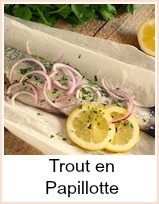 A very easy way of cooking whole trout or any other catch of the day. Simplicity is the best way to present a very tasty, fresh fish.